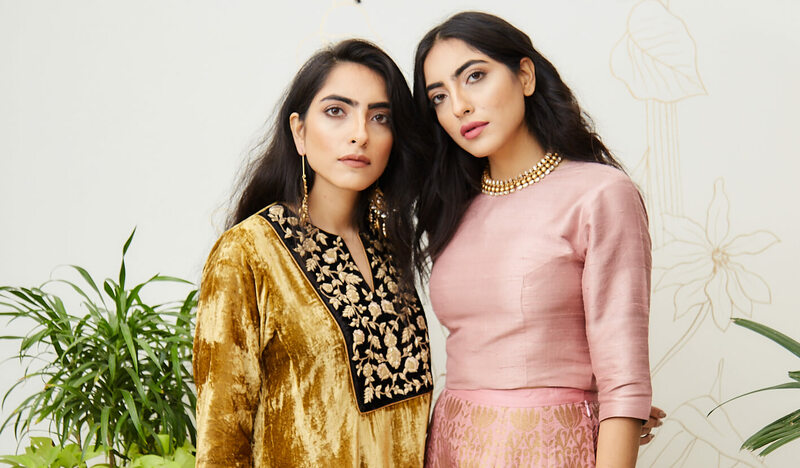 Zina and Zoya are purveyors of creative diversity and are hard to label. They wear multiple labels including creative directors/ stylists/ writers/ conceptualisers/ health gurus and more. Scrolling through their digital feeds is the best way to keep up with their forever-expanding design influence. 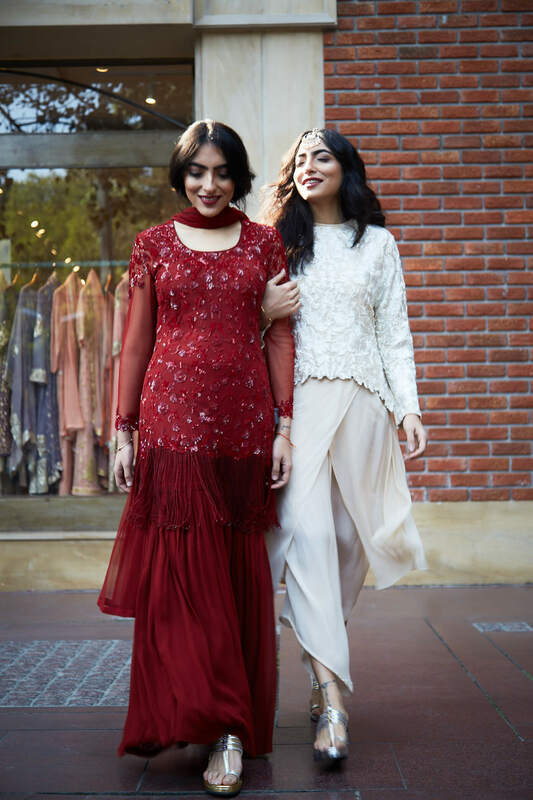 To better understand their unique vision, we invited them over to our Ogaan Wedding Shop at Mehrauli, New Delhi for a day of festive dressing (with their trademark twist!). Scroll through their favourite day and night looks to feel instantly inspired. "Touch and Be is a platform for creative direction, we tell stories about people and their lives, culture and our unusual take on health, which is another digital niche we’re working on. It’s more than just fashion!" Zina: "I gravitate towards traditional and vintage pieces that focus on old-school embroidery. 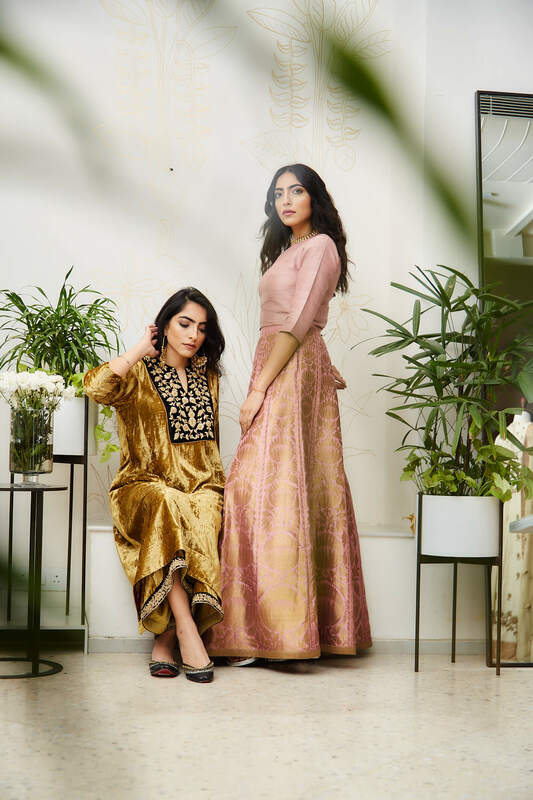 I usually pair my traditional pieces like this beautiful Nidhi Tholia velvet kurta with something unexpected like a pair of boots!" Zoya:"My style is easy, cultural and comfortable. 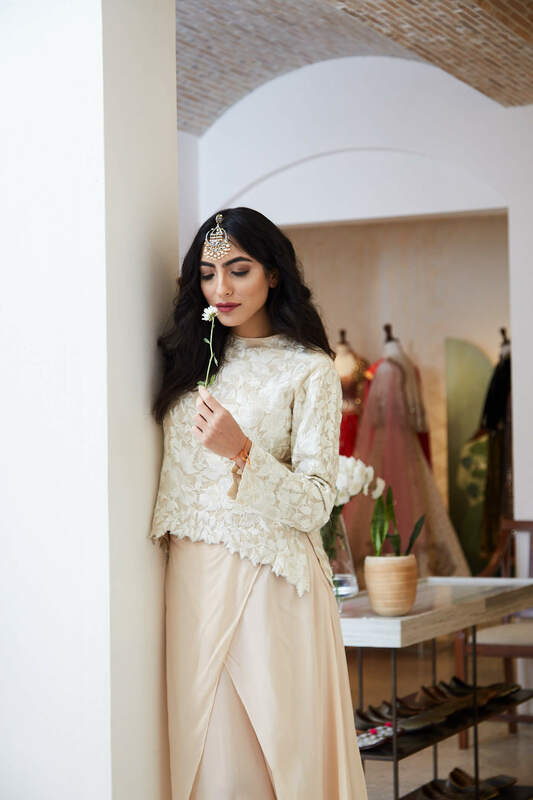 This Payal Khandwala blouse and skirt set in a muted dusty pink defines me truly. I always choose relaxed and simple lines."